Luckily for us, street style photographers love a stylish duo as much as we do, and there's one Italian pair in particular that they couldn't get enough of in 2016. 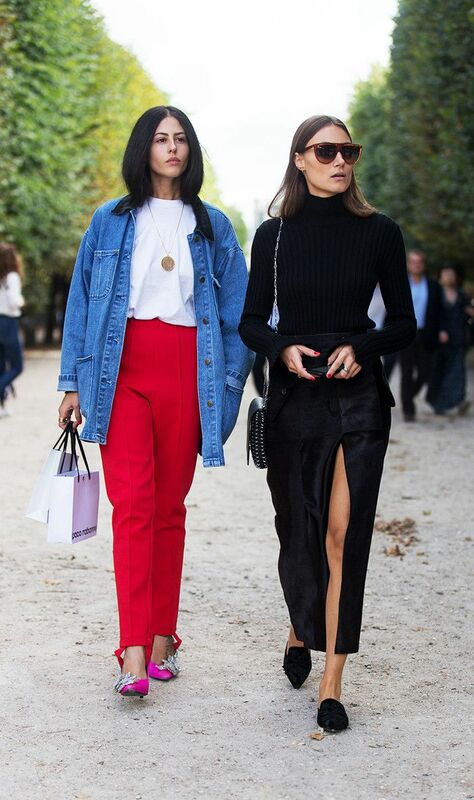 Giorgia Tordini and Gilda Ambrosio started off as consultants for brands, street style stars, and friends. (Fun facts: They're both quite statuesque and go practically everywhere together). After meeting a few years ago, the stylish Milanese pair decided to combine their classic (Tordini) and bold (Ambrosio) aesthetics in the form of their own vintage-inspired label named Attico (Italian for penthouse). Their first collection launched last February and was promptly snapped up by major e-tailers like Net-a-Porter, Matches Fashion, and Moda Operandi, and quickly sold out. In an interview with Buro 24/7, the It girls cite vintage shops and flea markets (including furniture and interiors) as their biggest sources of inspiration for their seasonless collections, which explains the stunning embroidered and velvet robes and kimonos that have become their trademarks. Upon perusing Tordini and Ambrosio's directional outfits from the past year (below), it's clear to see their style is influencing what other fashion girls are wearing and brands are designing (robes, velvet, long dresses layered over jeans, dusters, satin kitten heels, statement sleeves, etc.). Much to our delight, the insiders are introducing denim and accessories with their S/S 17 collection, and we're already anticipating that the satin pouches, thick-buckled ankle bracelets, cropped flare jeans, and backless mules will garner long waiting lists. Ready to get to know the Italian style stars a little better? Keep scrolling to get a glimpse of just how cool they are and shop some of our picks from Attico. We'd wear this even in the winter—with the help of a turtleneck and boots. Prediction: Every fashion girl is pre-ordering this pouch. Street style stars love this exact outfit. This will be the It accessory of spring 2017. These jeans are exclusive to Net-a-Porter and will make your T-shirts so much cooler. We fully expect to see Tordini and/or Ambrosio wearing this during the next fashion month. This is what we want to wear to the next wedding we attend. 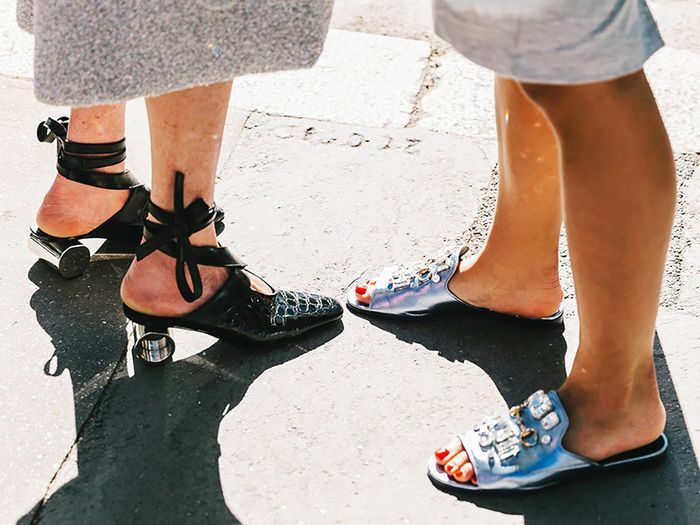 Every aspect of these mules is spot-on. Consider these proof that cropped flares are still going strong. This sweet top looks so good with denim and white. 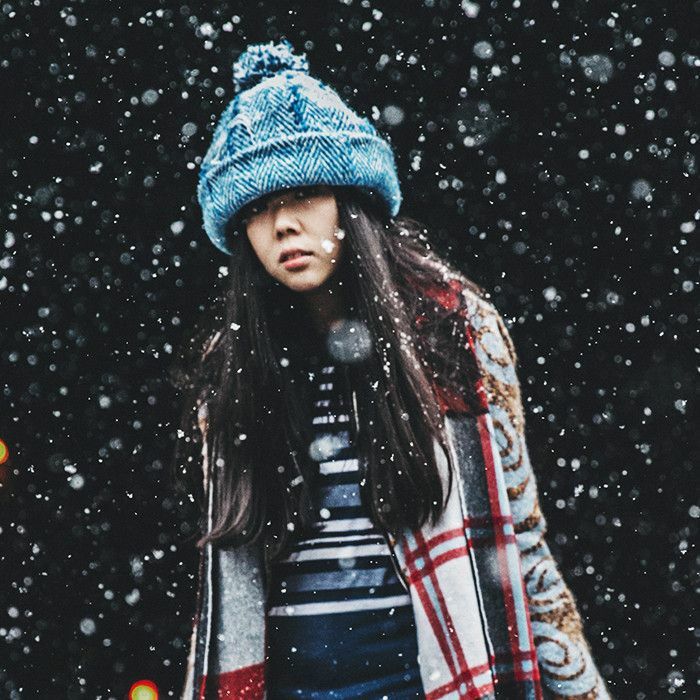 Next up, check out three other new brands every fashion girl should know.